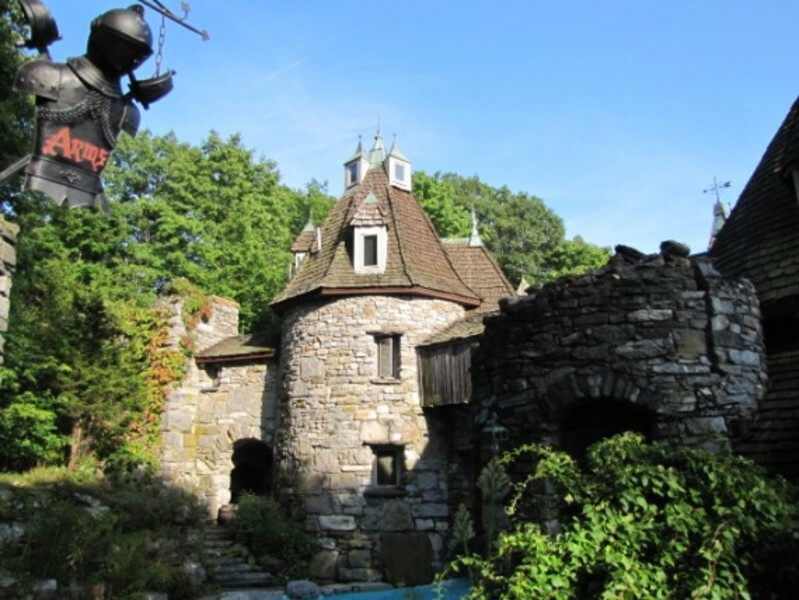 Hudson River stone castle constructed by artist/owners Peter and Toni Wing, using 85% salvaged materials from antique buildings. Wing's Castle is the brainchild of artists Peter and Toni Ann Wing. It's been featured on Extreme Homes on HGTV and The History Channel. A visit and tour there will leave you mesmerized by the antique memorabilia and collectibles, everything from military to primitive trinkets, each with their own story to tell. Owners tell stories of unexplained events in and around the castle house-why Toni took an axe to a goat-headed artifact embedded in the castle wall; why trick-or-treaters never seem to venture past the jack-o-lantern at the driveway entrance ... one visit inside and you'll know why. And if you dare, stay overnight in their castle bed and breakfast, complete with medieval decor and its own private bath. TOURS LAST 45min-1hour depending on size of group. ~Admission fee charged to enter grounds at gate. Groups & buses welcome, please book large groups in advance. ~Walking on grounds prohibited without paid admission fee. $12 per adult children 11 and under are $8. WEDDINGS Have your wedding or event at Wing's Castle...please call for more info!